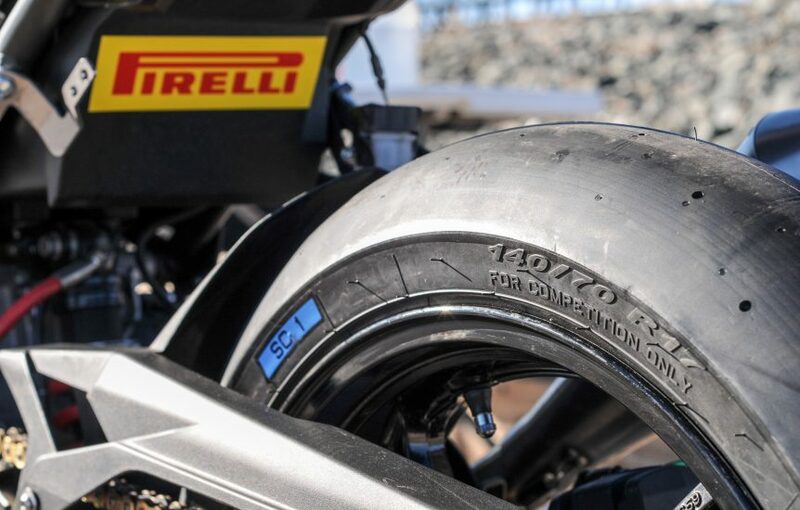 ROME, Ga. (February 7, 2019) – Pirelli Tire North America will introduce two new sizes of its DIABLO™ Superbike tire lineup, geared specifically toward entry-level sportbikes. The new tires will be available in 110/70-17 front and 140/70-17 rear sizes and reaffirms Pirelli’s commitment to racing and the growing popularity of smaller sportbike racing classes. Pirelli has expanded on its World Superbike-derived racing slick lineup for 2019. Small displacement sportbikes can now find the DIABLO™ Superbike available in 110/70-17 and 140/70-17 sizing. The Kawasaki Ninja® 400 showcasing the new DIABLO™ Superbike SC1 slick sizes.